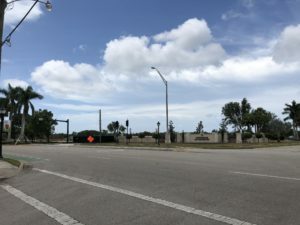 You may have noticed a different look when driving past Windstar and the corner of Bayshore and Thomasson. So what’s happening? 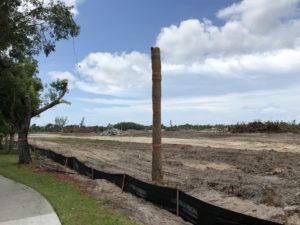 Windstar – Windstar has an entirely new replanting plan, thanks to Irma. When it’s finished, there will be a dense barrier on the north and south sides of the entrance so you won’t see the communities on either side. This will be a combination of palm trees, leafy trees, flowering trees and Hong Kong orchids. Most recently, the old landscaping was removed and all of the new plants will be in by mid-September. Windstar will also be adding an 8 foot wall on the southern border near Hamilton Harbor. Currently the association is waiting on approval from the city. Much of the landscaping on the border came down in the Hurricane and the plan is to build the wall and add additional landscaping by the end of September. The landscaping all over Windstar will take a few years to fill in, but it will look every bit as beautiful soon! Corner of Bayshore and Thomasson – You have probably seen the Mattamy Homes signs on the corner. 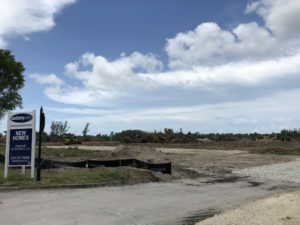 They are now doing lot preparations for their community going in to be called Arboretum. 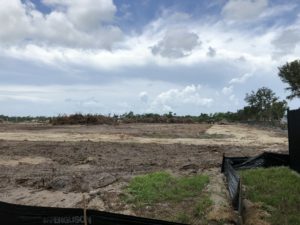 The community is planned to have 244 homesites, including coach homes, townhomes, and villas.